There's nothing quite like a sighting of a "mystery" creature to brew up storm of speculation (with a cryptozoological zing), and the latest comes our way from the hills of northern Switzerland. 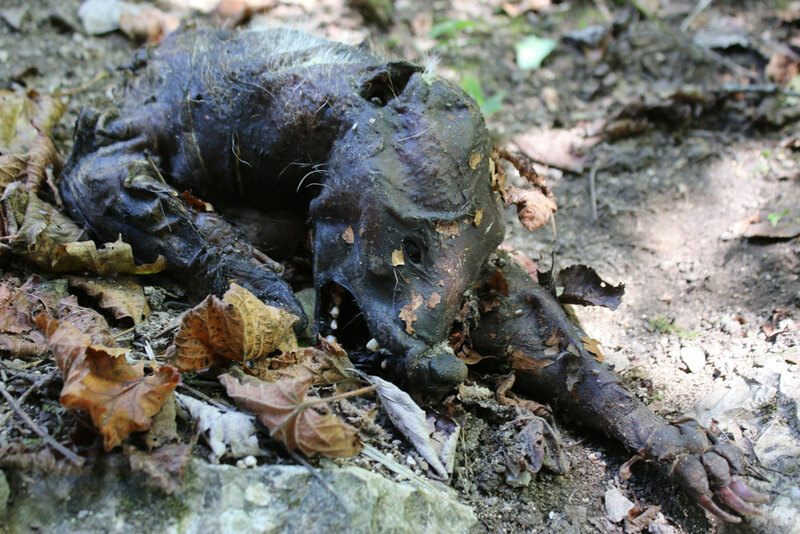 While out on a weekend stroll near the town of Biel recently, a couple of hikers stumbled across a grizzly find: with its hind legs missing and its flesh seemingly mummified, this half-eaten corpse looked ready to star in its own straight-to-DVD horror. The body, or what was left of it, was reportedly about as large as a medium-sized dog. "At first, I thought it was not real, a carnival costume or something. 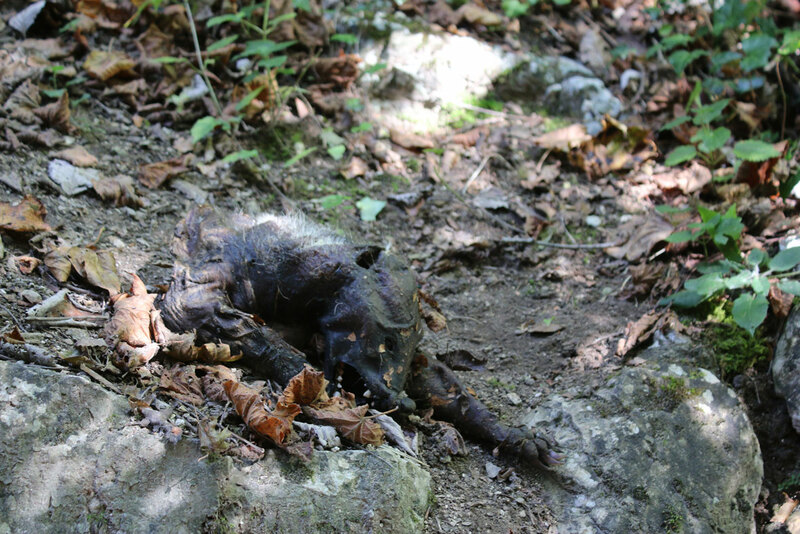 But the nearer we came, I saw it was a real carcass," recounted one of the hikers, Cagla Dogan, to Swiss newspaper 20 Minuten. The pair was unable to identify the creature, but noted that it looked like a fox, only a bit bigger. Once photos of the find were published, however, speculation about the creature's identity really went into overdrive, with guesses ranging from the expected to the extraterrestrial. 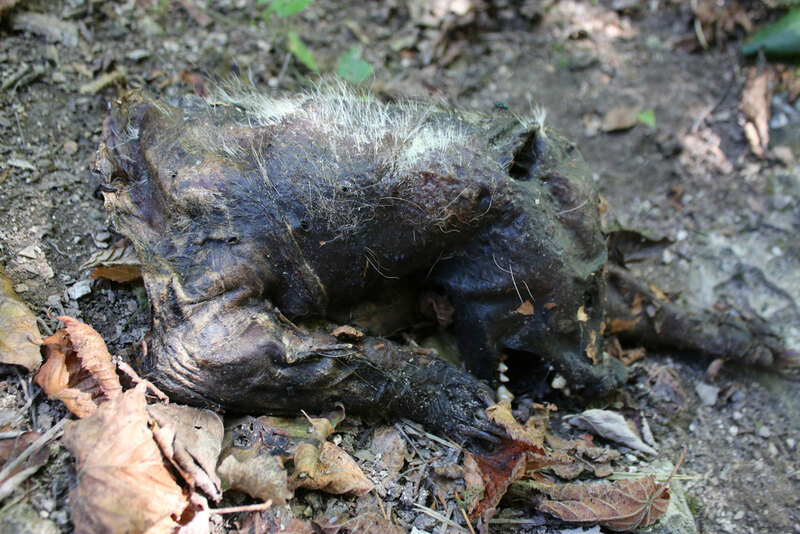 A local gamekeeper noted the animal looked like a badger, but remained sceptical as he wasn't able to examine the remains in any great detail. A local conservation group, meanwhile, dismissed suggestions that the creature was a giant bat. Thanks to other commenters on social media, cryptids (and extraterrestrials) also got the obligatory mention: some suggested the dreaded chupacabra had crossed the Atlantic to find a new home in the Swiss woods, while others said the creature looked like an alien. But as is often the case with sightings like this one, the answer turned out to be more mundane than mysterious. When the corpse was retrieved and taken to the University of Bern for analysis by scientists at the Centre for Fish and Wildlife Health, the team concluded that the creature was in fact a common European badger (Meles meles), a species that's very much native to Switzerland. The key to solving the puzzle? Closer examination of the sparse fur remaining around the animal's neck and the distinctive morphology of the teeth and the claws. The European badger is common across Switzerland, and adults grow to around 60-90 centimetres (24-35 in) in length, and can weigh in at around 24 kilograms (53lb) when the eating is good. In this case, the badger's usually unmistakable coat pattern – white and grey with streaks of black and brown – had became almost indistinguishable. So what caused the badger to look so profoundly unbadger-like? According to Francesco Origgi, a biologist at the University of Bern who examined the remains, recent weather in the area could be to blame. Origgi pointed to mild temperatures coupled with little rainfall, which may have caused the corpse to dry out, resulting in the gnarled, blackened appearance. The animal's exact cause of death could not be determined, but Origgi added that it had clearly died several weeks before, and had probably been dinner for another critter at some point. So, it turns out the people of Biel can rest easy. There are no hellhounds roaming their forests (and no rogue Tasmanian devils, either). Chances are this freakish salamander-like creature has shown up somewhere in your feed this week. But is it real? This bizarre "tangle" of worms baffled locals in the Taiwanese city of Hsinchu earlier this week. Science communicator Preeti Desai happened upon this strange fanged fish during a recent outing at a beach in Texas City.